Final Photo opportunity of the year for me was a brief visit to Lowestoft this morning to try and capture the four latest arrivals from the South West. A Brisk sunny couple of hours was had and i managed to grab three of the four required. 42911 WX05RVV about to enter Gordon Road in the winter sun. All were seen in use but 42908 failed to appear in the right direction for the camera as the sun was playing havoc trying to find a decent spot, i was a bit late for the usual Bus Station haunt so i moved to the roundabout at the top of Gordon Road with more sucess. My final capture was 42926 SN05EAE which i did wander back round to Gordon Road to see if it has pulled up in the last remaining sunny spot there and as luck would have it there she stood. 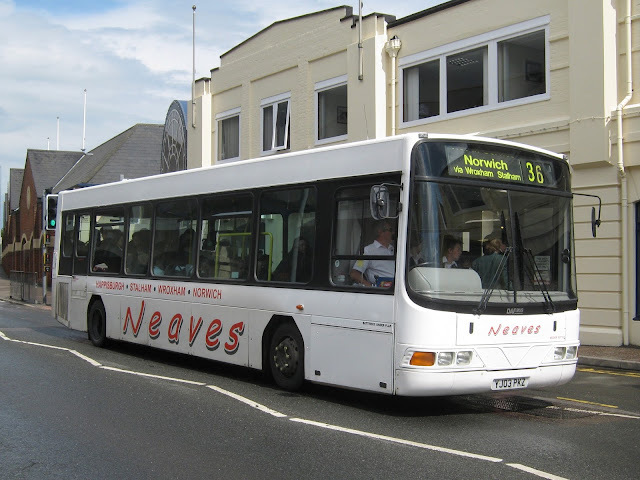 42926 SN05EAE now proudly wearing its new identity. The rest of my photos will appear on my Flickr stream in due course. https://www.flickr.com/photos/hemsbybus/ Once done i headed back to Yarmouth to meet up with a certain Mr. Miller for a chin wag and a seasonal beverage! 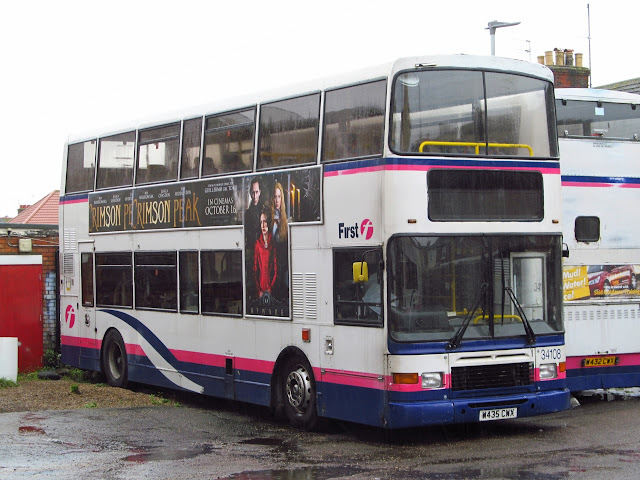 Other news from First sees loanee Volvo B10BLE 66112 R912BOU returning to Rotherham due its non DDA status and another loanee has arrived in the shape of 60626 R789WKW which is DDA complient and will cover as a paint spare at Norwich. 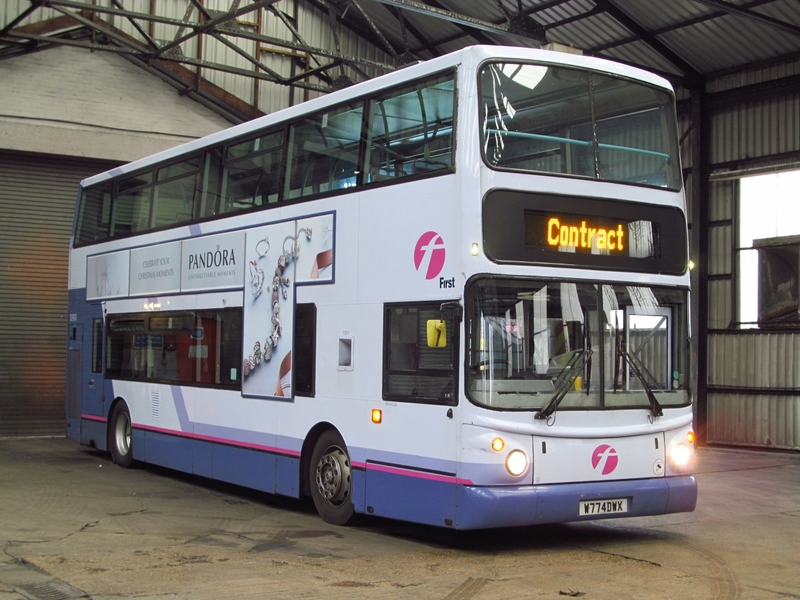 Yarmouth based 66168 & 66169 should also be withdrawn after service today due to the changes also. Finally i would like to wish all our readers and contibutors a very happy new year and also to Roy for once again allowing me to be part of the team and keep the local scene up to date for everyone. Have a good one people and here's to another bumper year in 2016! Grahame. So that's it for this year then - all that remains is to wish you all a happy, healthy and prosperous 2016. 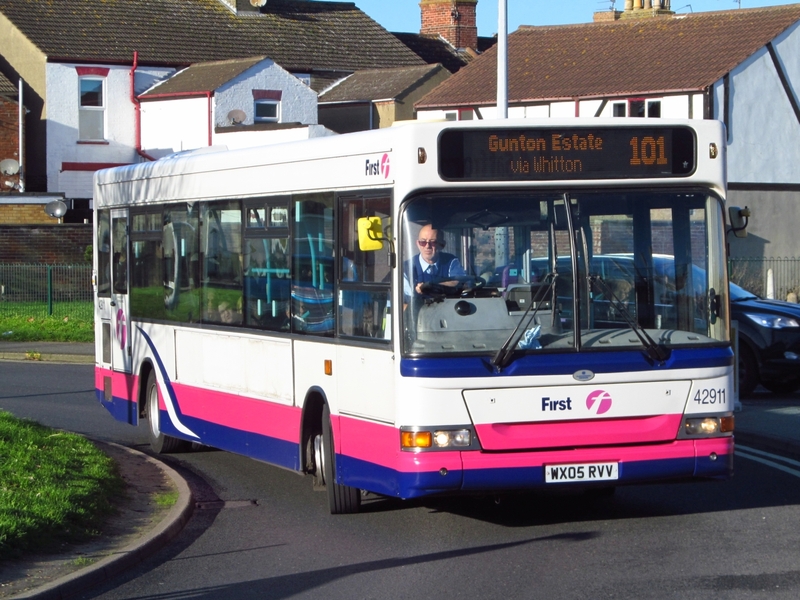 A quick visit to town earlier today and I noticed both of the two recently transferred B10BLE's at work on the 6 to Bradwell. The next couple of days are expected to be their last days in local service before they are withdrawn as being none DDA compliant. 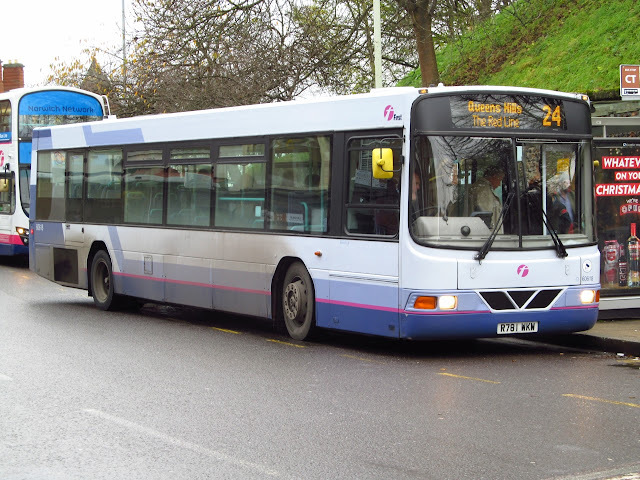 Christmas Eve saw another South Yorkshire Volvo B10BLE return to Rotherham after its loan spell with Eastern Counties. 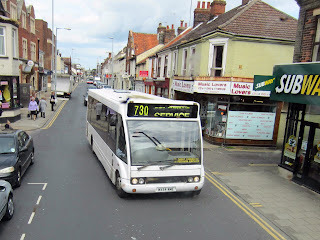 60618 R781WKW has spent time working in Ipswich, Norwich, Yarmouth and Lowestoft whilst here. 60618 in Castle Meadow back in November. With 60618 heading back North, Norwich based 33162 LR02LXX returned to Norfolk refurbished and repainted. 32106 & 32107 remain at Rotherham undergoing refurbishment and will return in Yellow line colours. 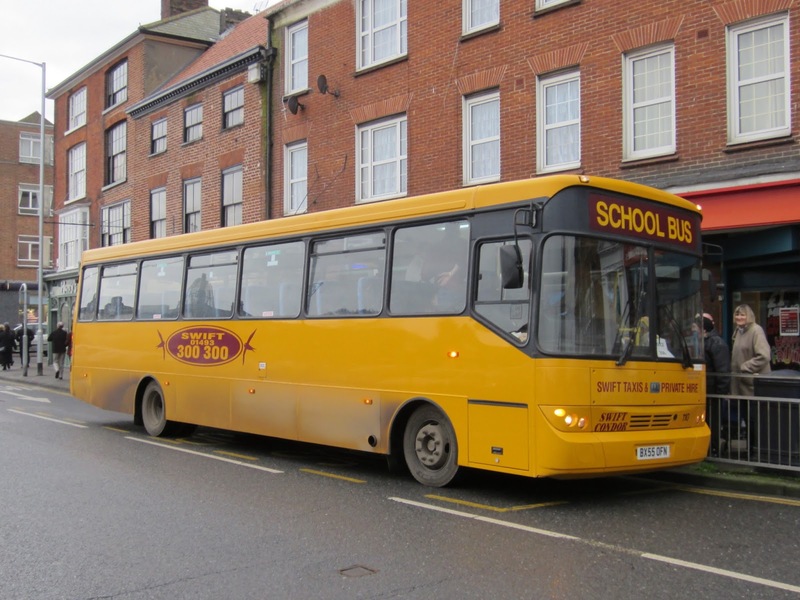 Reynolds Coaches continued to operate its coaches on schools and contract work during the year with a noteable vehicle arriving in the shape of Mercedes Tourismo SN57LKC. The company also made significant changes to its bus network at the end of March including the service 6 between North Walsham and Great Yarmouth. Special mention must be made for the tireless contributions to the blog from my partner in crime Grahame Bessey, who has really helped me out when times have been difficult. Thanks very much Grahame! My thanks also go to Syd Eade, Tim Miller, Jamie Skinner, Colin Thorne, Colin White, Neil Chilvers, Tim Major, Joe Leathers Watson, Danny Beales, Chris Speed, Des Speed, Sheldon Rees, Steve Gowler, James Long, Lee Howes, Rob Collins, SteveW, Crewcastrian, Eastleighbusman, Tom Baker, Zak Nelson, Mike Sayer, Harry Stanley, and Sam Larke for their support too. My apologies to those I may have left out! Go-Ahead subsidiary Anglianbus began 2015 with a long term loan of ADL Enviro200 YW14FHS which lasted until October. 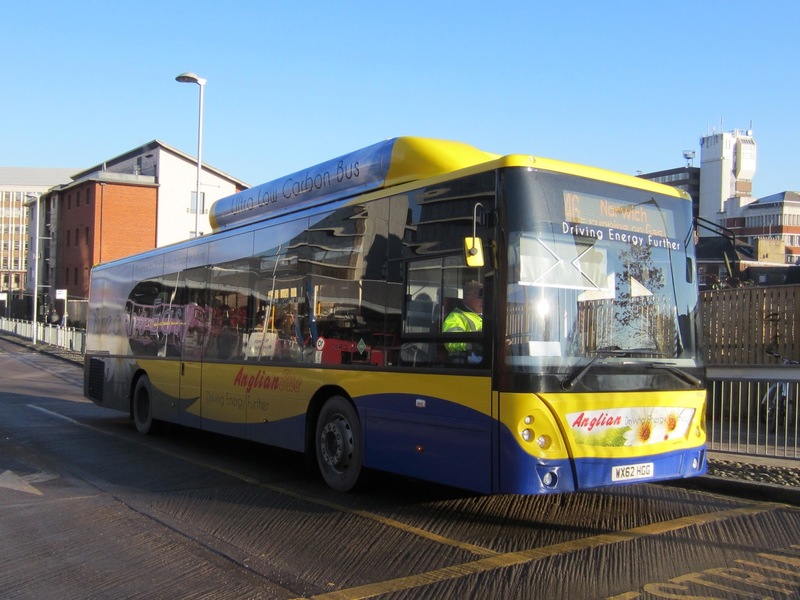 The introduction of these new timetables resulted in a number of fleet withdrawals with Optare Excels W216PRB and X229WRA being the first to go. These were followed by Optare Solos YN04LWP, MX53EDO and MX53EDP. 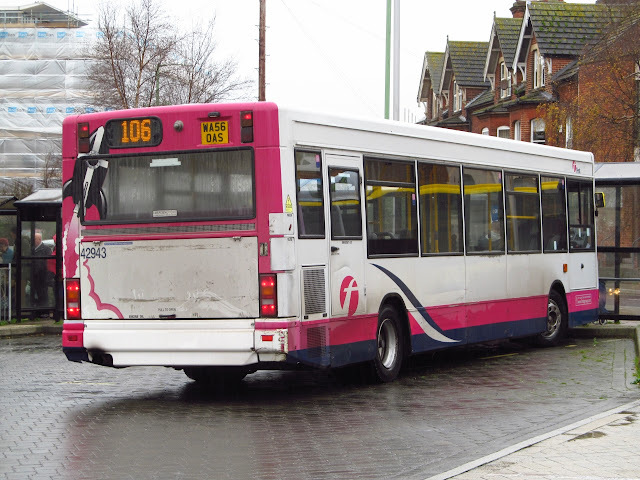 Two ex Metrobus Scania Omnicities YN05HFJ and YN05HFG were also axed. 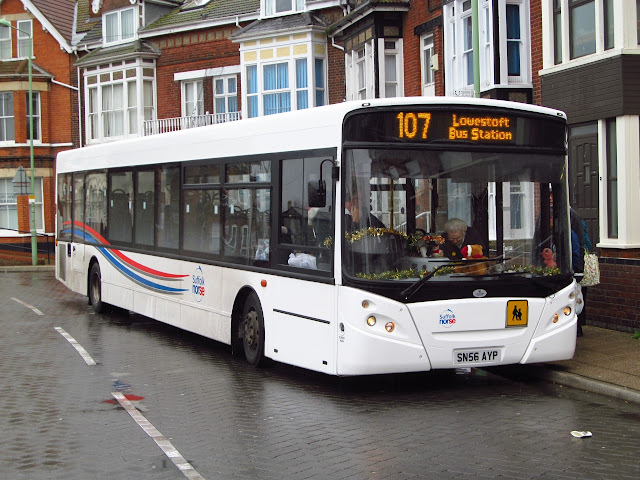 Meanwhile, Anglian repainted its four Streetlites back into white livery prior to handing them back to their owners following the end of their lease; although at least one still appears to be hanging around! 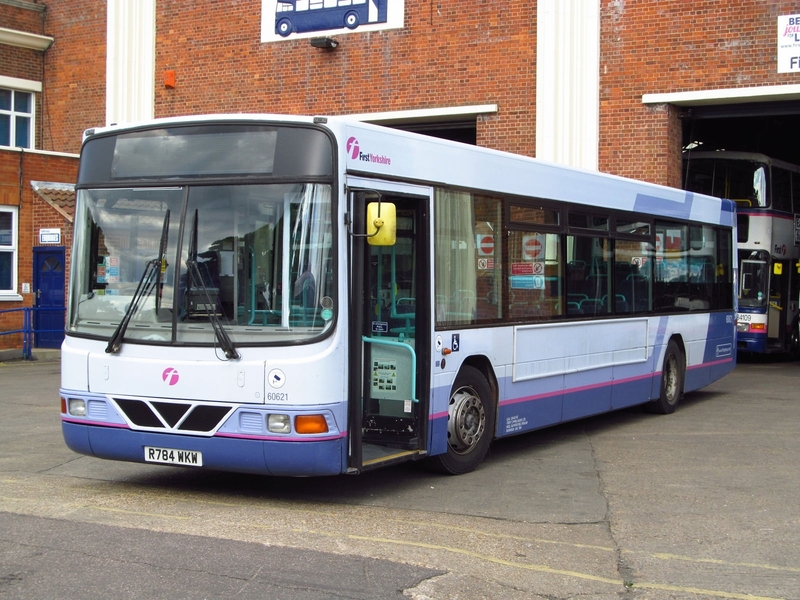 Other arrivals in the year included three deckers for Caister Road arriving from First Slough in the form of Volvo B9s 37274/5 LK58EDF/J and B7 32348 LK53LZL - the last mentioned causing a stir in the local social media by returning from Full Circle with the wrong fleet number! 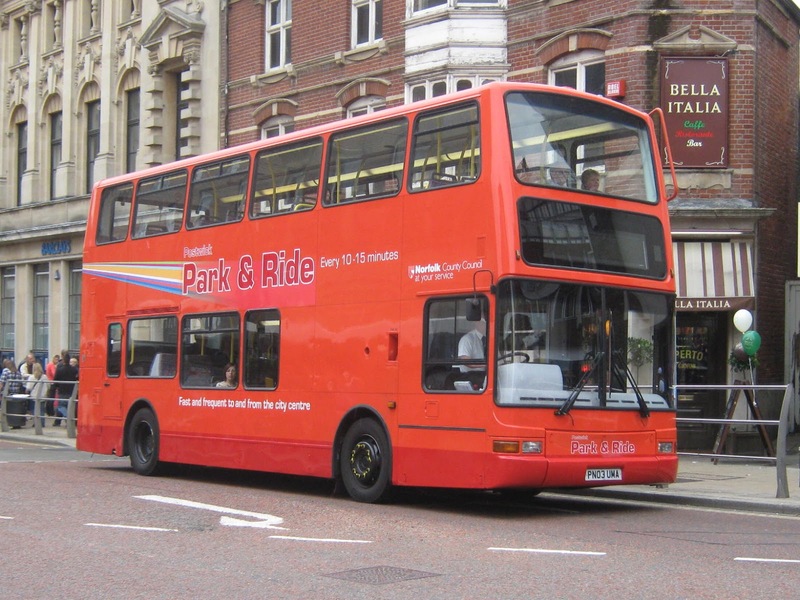 Stagecoach Norfolk Green became part of the Stagecoach East at the beginning of May with the Norfolk Green branding being gradually replaced by the the Stagecoach corporate livery. Undeterred, I put the registration NMY651E in the Google search box and found this photo which confirms it was the same bus! 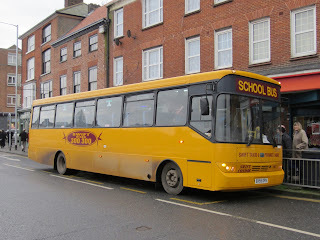 What it was doing in Great Yarmouth I am not sure; probably a sports club outing to the town. Mystery solved - never underestimate the power of the internet! Former First Berkshire Gemini 37275 LK58EDJ has arrived at Caister Road after repaint into Excel livery and is undergoing inspection prior to entering service here. It arrived yesterday evening from Full Circle, Banham. 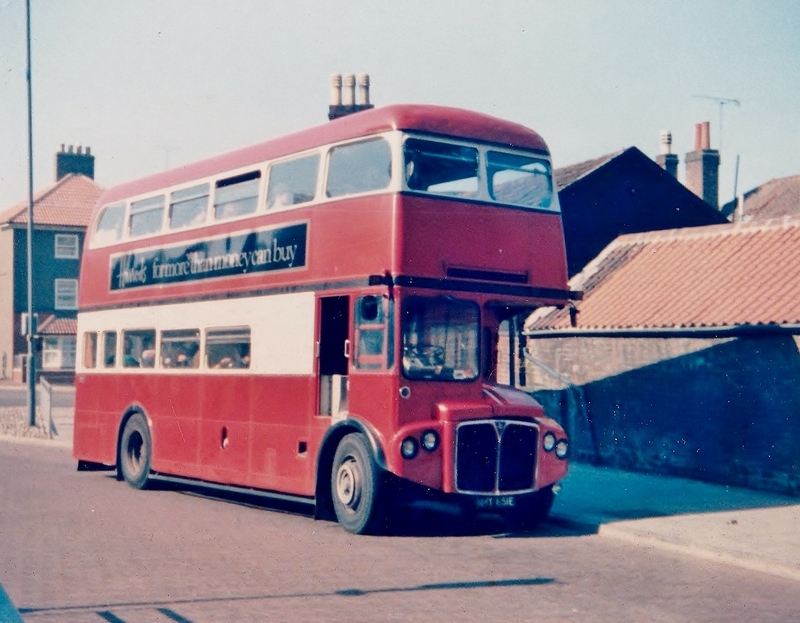 60621 pictured at Caister Road during its spell in Yarmouth. Another Yorkshire loanee has returned to Rotherham, 60621 R784WKW headed back North yesterday with Norwich based 33161 LR02LXW returning to Norfolk after refurbishment. 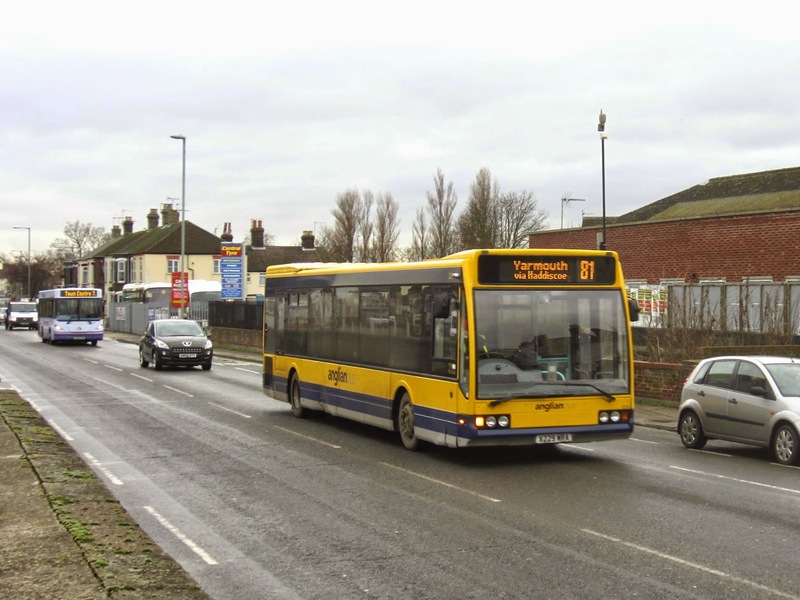 Currently undergoing refurbishment at Midland Road are 32106/32107 which will gain Yellow line livery and 33162 is also being treated, this was in Orange line livery. 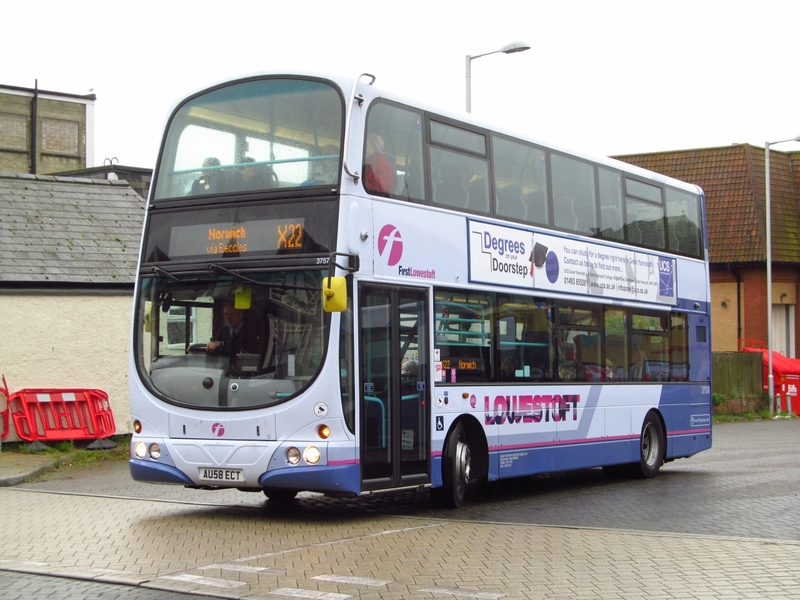 Volvo 66168 has moved back to Yarmouth with Dart 43859 returning to Lowestoft. So armed with our Oyster cards, we set off with the aim of visiting the usual tourist haunts with the odd bus photo taken on the way. The first was of Go Ahead London MEC5 BG09JJX Mercedes Benz Citaro O503 outside Victoria Station awaiting its next journey. Taking a break from bus photography, we headed off to Trafalgar Square for an enjoyable lunch. A leisurely stroll followed along the Mall via St James' Park to view the Palace. Although the Queen was in residence there was no time for tea! All in all a very busy, tiring but enjoyable day - slept well that night! As you will have read in the previous post, Dart 43859 has returned for use in Yarmouth mainly employed on the 6/7 services. 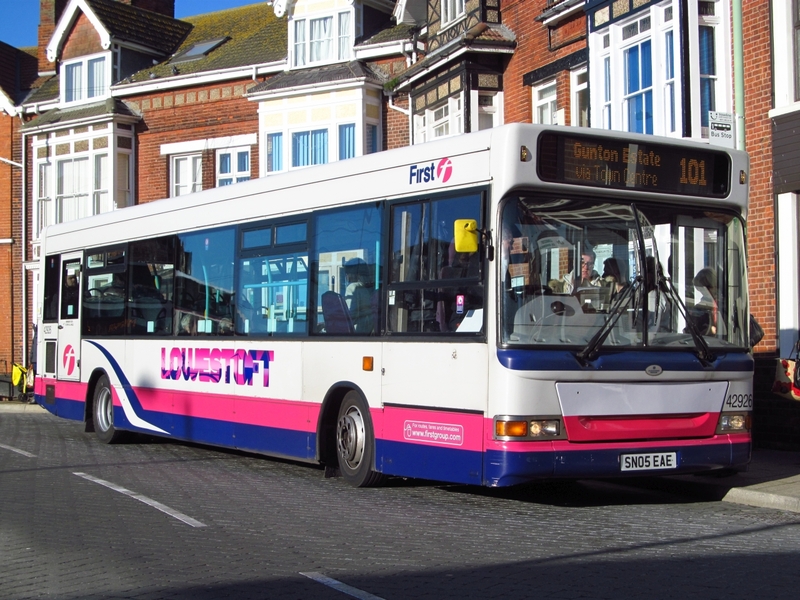 Former Lowestoft ALX400's 30900/30901 have now had their Lowestoft names removed and are awaiting their Great Yarmouth versions. 30900 W774DWX looking a bit plain at present. 34111 is now the only operational Olympian in the fleet and is now restricted to contract work only as it has had its ticket machine removed. Sisters 34108/34112/34114 remain stored in the back yard at the depot awaiting their fate. 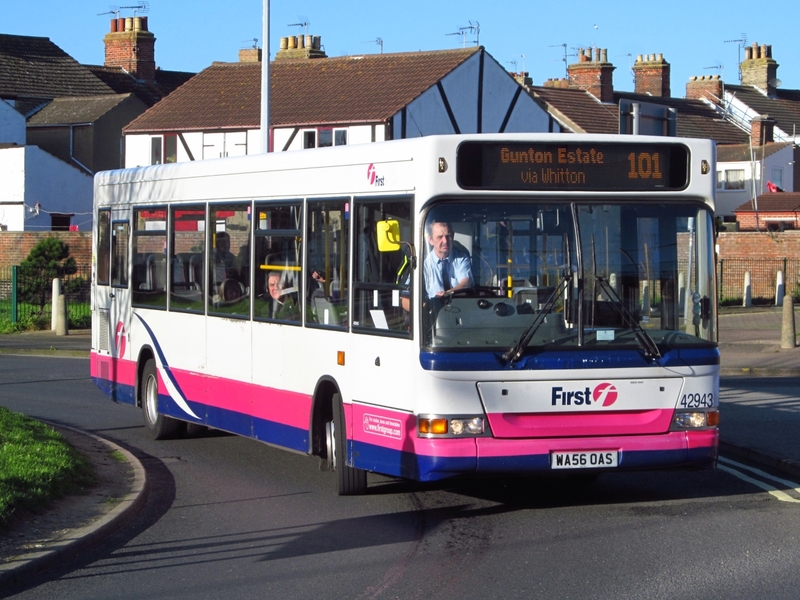 Thanks to First for the info and for permission to get the photographs. Grahame. An early start on Saturday morning in order to hopefully beat the expected rain that was forecast as i headed for Lowestoft to catch up with the latest happenings in the suffolk town and photograph the latest arrivals and outgoing Jersey Darts before they head South. 37570 AU58ECT leaving for Norwich on the X22. The X22 service has been recently introduced to run alongside the X2 service giving a frequency of every 15 minutes between Lowestoft and Norwich and a fast link on some journeys. 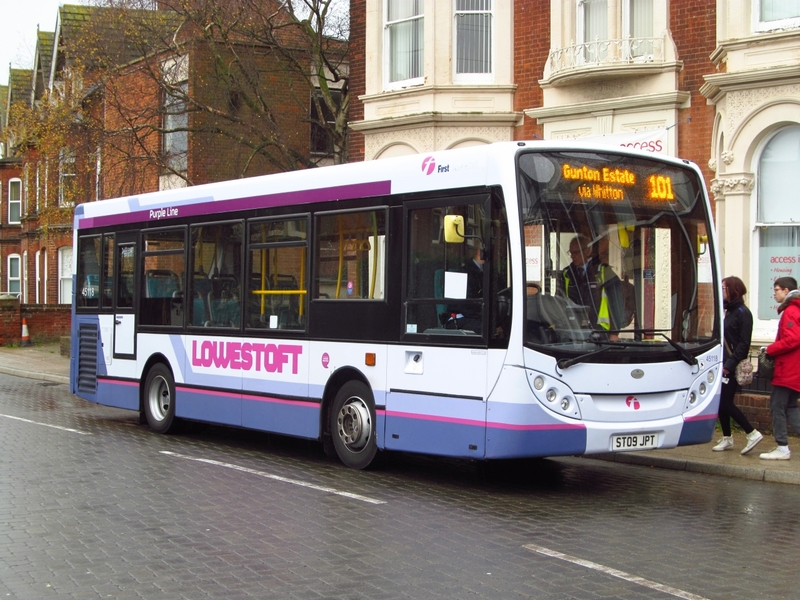 The routes are mainly operated by the fleet of Gemini double decks although Lowestoft Corporation liveried ALX400 30888 was also in use yesterday. 66168 W368EOW working the 99 service to Kessingland. 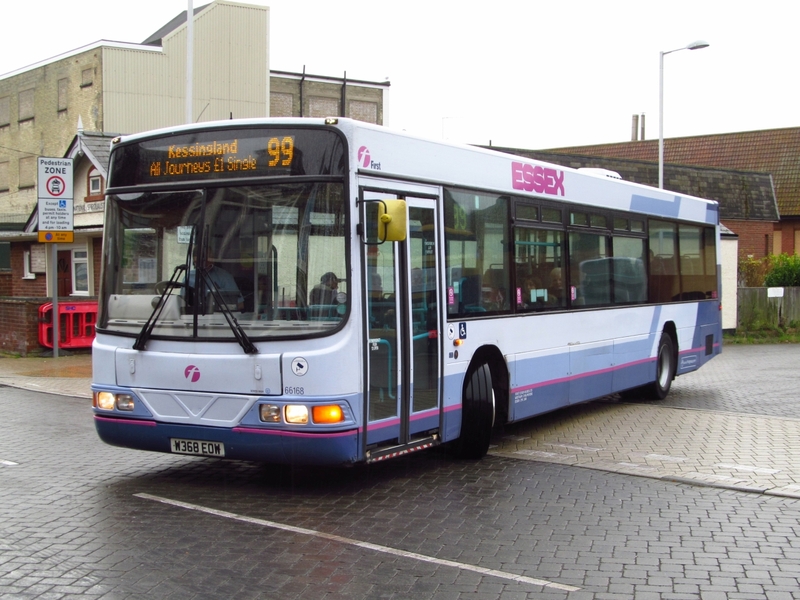 Former Essex Volvo 66168 has recently moved over to Lowestoft with Dart 43859 moving back to Yarmouth, 66168 was employed on the 99's whilst i was there and good loads were noted on most trips out of the bus station. None of the recent Gemini transfers from Yarmouth were noted, all on the Norwich end of X2 duties no doubt. 45118 ST09JPT working the 101 service to Gunton. Two of the recently returned Enviro 200 Darts were noted in use, 45116 & 45118 were both on town services, 45117 is currently at Yarmouth for MOT. 45118 has had Lowestoft names applied but still carries part of its Purple line branding from its time in Norwich. The heavy rain put paid to any further photos so it was off to do some Christmas shopping and a sneaky pint to warm up (Purely medicinal of course!) Grahame. 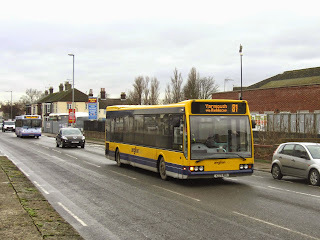 Lurking around the town centre to view some out of the normal activity, I decided to capture on film Ambassador Travel's Volvo B9R/Caetano Levante 211 BF63ZSL on the rarely photographed 371 service to Birmingham. After a wander, I returned to Market Gates in time to witness Lowestoft loanee 43859 EG52FHD arrive on the 6 from Bradwell. Its arrival coincided with a tweet from Jamie Skinner to say it was on the 6, so here's the pic from 'our intrepid man on the spot' as Tim Miller would say! After many unsuccessful attempts to tweet the photo using The Cloud, I succumbed to my Costa calling and tweeted it from there using their more reliable WiFi!